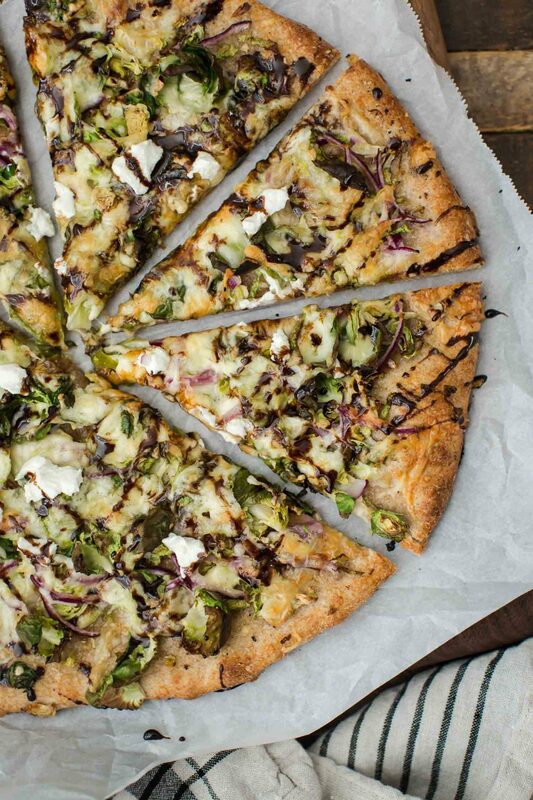 Brussels Sprout Pizza with Goat Cheese | Naturally. Quick note: I’m currently working on 2017 and I would love your opinion. Please fill out this quick survey and you will be entered to win a set of my books! Thanks! 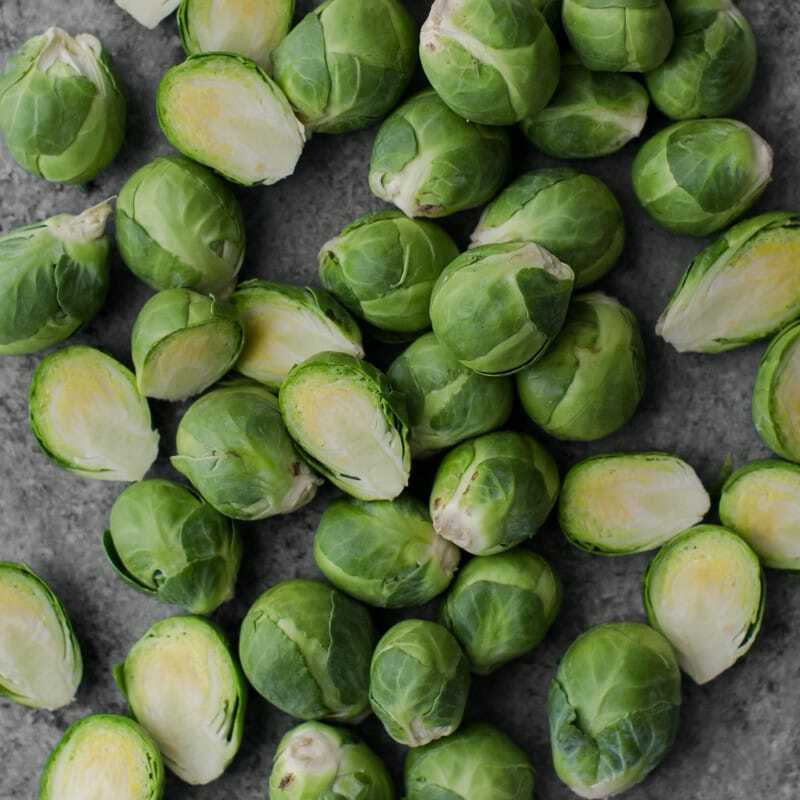 I find it hard to believe that I went a solid chunk of my life avoiding Brussels sprouts. These little brassicas heads, when prepared well, are an absolute cold weather treat. For the most part, I roast the Brussels sprouts as it’s near impossible to cook them into mush or a horrible flavor. 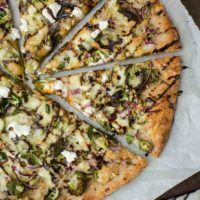 This Brussels sprout pizza is a favorite of mine on pizza night and one the whole family can agree on making. I like to include all those loose leaves that fall off as you cut the Brussels. They turn into crisp chips on the pizza, adding a fun texture to the overall recipe. I know it can seem strange at first mixing up pizza toppings. One of my favorite things to do is find pizza places that are experimenting with different flavors/toppings. I’ve found that even the weirdest of combinations, in the right hands, can make for an awesome pizza. Brassicas: I love this pizza with many different vegetables! Broccoli, cauliflower, or even kale would work great in place of the Brussels sprouts. I recommend roasting the broccoli or cauliflower before adding to the pizza. Cheese: Try smoked mozzarella, gouda, or fontina for different flavors of cheese. Gluten-free: Try your hand at a homemade gluten-free pizza dough. 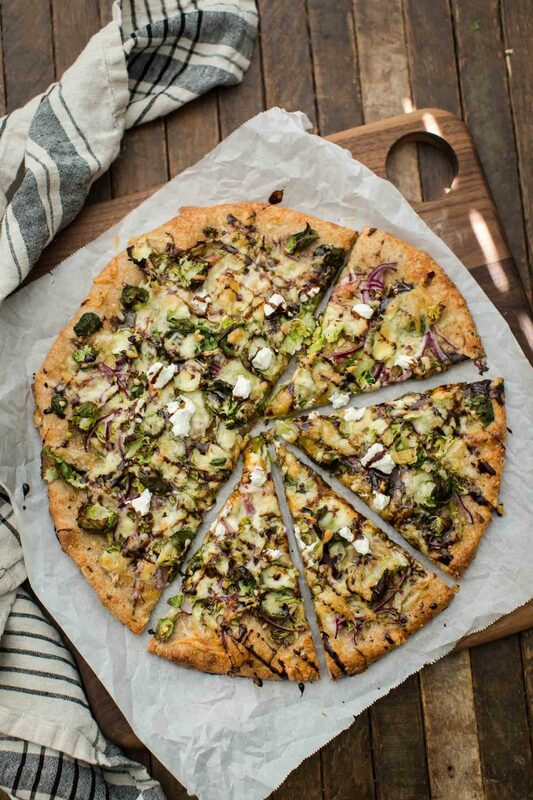 I want to be really mad that there are Brussels sprouts on a pizza, but I gotta say, this looks amazing. I already know that goat cheese and balsamic vinegar is a magical combination. I think adding Brussels sprouts and red onions to the mix might just be brilliant. Thanks for sharing! Anything with balsamic reduction has my heart! Also, Brussels Sprouts are on heavy rotation for me right now too so I think this is a must try! I’m not entirely certain about Brussels sprouts on a pizza, even though I love roasted Brussels sprouts and all the other flavors you have going here. Instead of Balsamic reduction, I think I would just do a drizzle of the aged Balsamic vinegar we bought in San Gimignano, Italy earlier this year (it’s every bit as good as a reduction). I will probably have to try this pizza, because I’ve been pleased with all of your recipes that I’ve tried.